For your convenience, links are provided in the post below. These links may be affiliate links. Have you been camping yet? I know it’s not for everyone but it can be a lot of fun, especially if you can go with a group of other friends/families! It’s a great way to disconnect from the rest of the world and just connect with your family. There are so many places to explore, if you aren’t sure where to start, start out with a simple internet search of camping in your area. Also, ask others where they go camping. 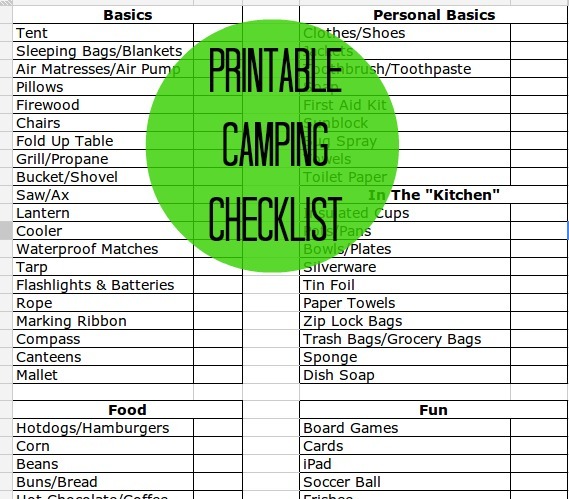 I’ve put together some camping tips for newbies and a printable camping checklist! 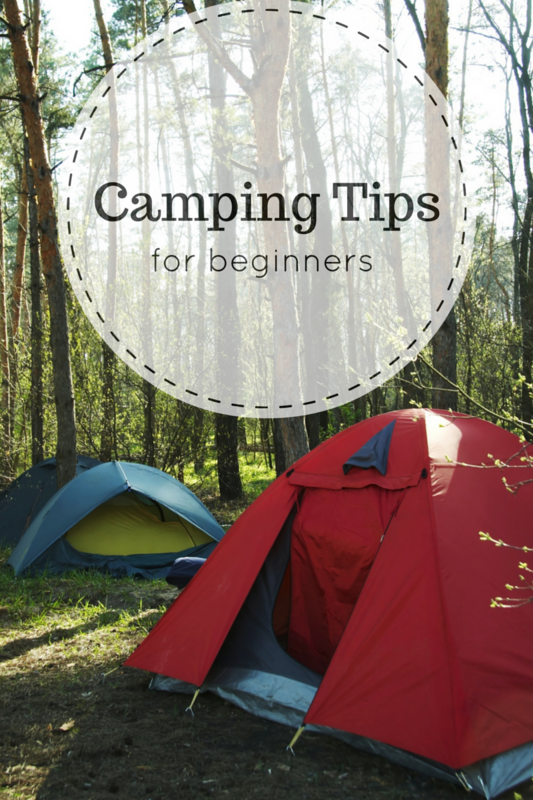 My biggest tip for newbies is borrowing other’s camping gear to see if camping is right for you because it can be a little costly for the initial investment! Create a Camping Box. This is something you can grab every time you go camping and it has everything you need such as first aid kits, batteries, snake bite treatment kits etc. We also create camping suitcases full of pots, pans etc just for camping. Invest in a state map book. I have this book Arizona Road & Recreation Atlas , I keep it in the car to find roads to go camping. Don’t push your comfort zone. I think it’s easy to want to explore the wilderness but you want to make sure you do it safely. 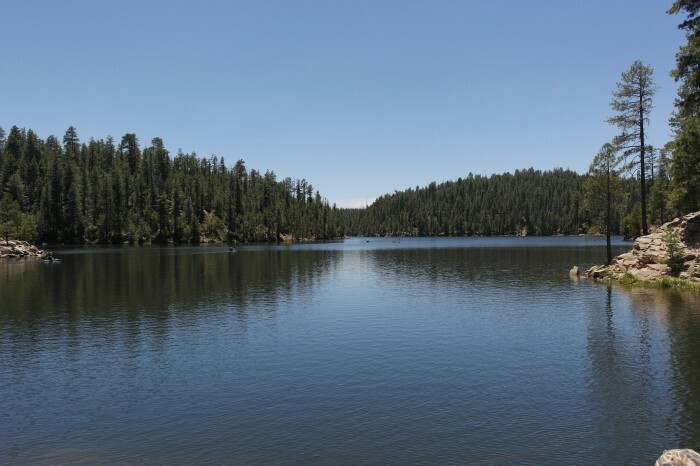 Tell family where you plan on going camping before you leave in the instance there is no cell service. Don’t hike too far away from camp unless you have a marking system (marking tape/ribbon is neon plastic ribbon you can tie to trees to know your way back. If you plan on doing target shooting, be mindful of others that may be in the area. You know the limits of your vehicle, don’t take it on a primitive road if you are not confident it will make it. Fuel up with plenty of gas and bring lots of water in case of an emergency. Have a checklist before you go, below you can find our essentials and a printable checklist! **YOU can edit and make your own list for this one, what you’ll need to do is click on “File” then “create a copy”, this will give you your own copy you can edit! Have fun! If you have anything that you think I missed, please leave a comment and I’ll add it! Looking for a delicious camping recipe? 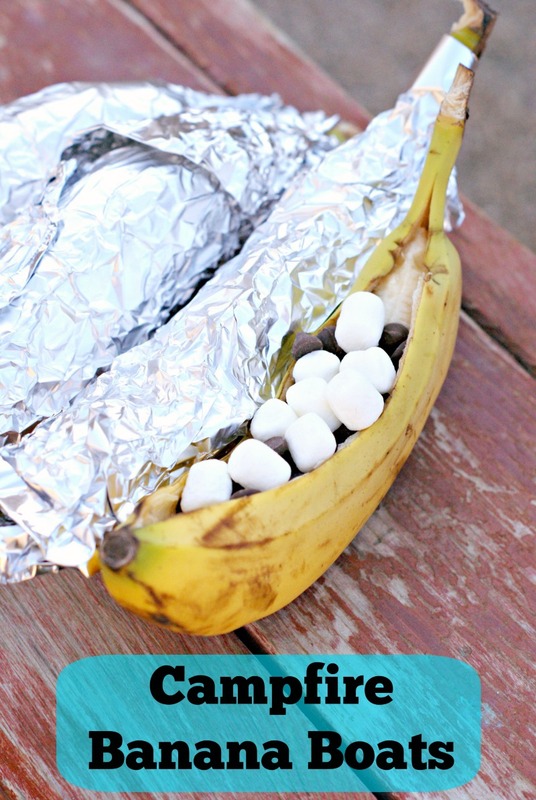 Try these banana boats! 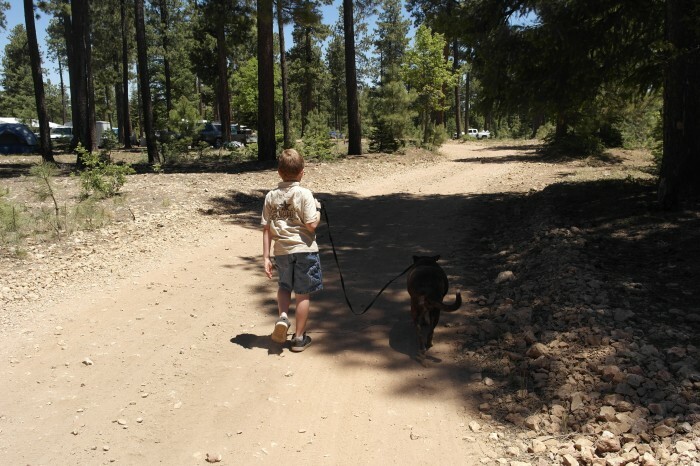 This is a great list for upcoming summer camping trips we have planned. Can’t wait to make one similar to it. Thanks for the post. We are heading camping in August (God willing). We are borrowing gear from friends as well. I remember loving it as a child. So I am starting a new tradition with my little family. Thanks for the list. To New Adventures!